The roofing industry’s number one hazard is falls from an elevated level. At CentiMark, we consider the safety of our employees to be a top priority. 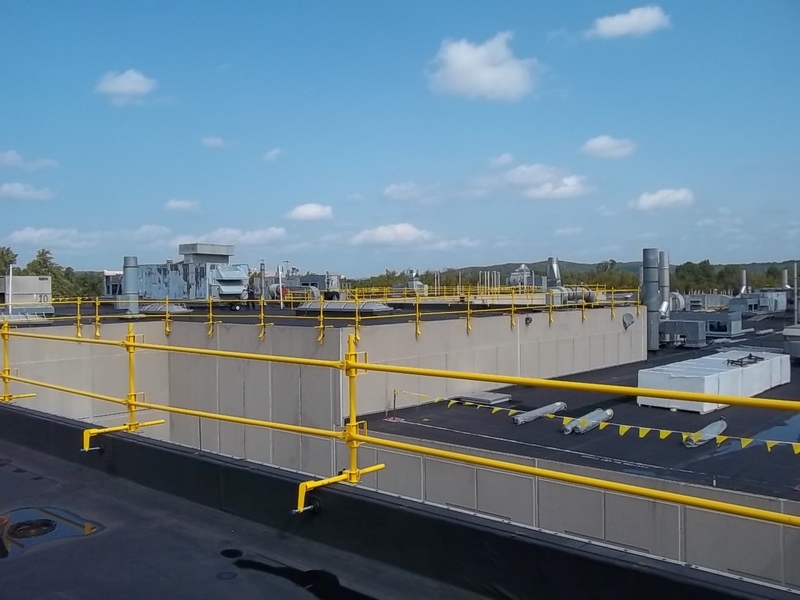 In an effort to make our roofing projects safer for our associates, CentiMark has purchased over $2.5 million in guardrails over the past three (3) years. These guardrails have become an integral part of CentiMark’s safety arsenal and help make our projects safer. Guardrails are installed utilizing conventional means of fall protection - fall arrest carts/systems. Once installed, guardrails allow the worker to safely access all areas of the roof. It is important to remember that all roofs are different and the hazards associated with each roof need to be evaluate and addressed properly for each project.